Portugal was once one of the most powerful sea-faring countries in the world. As a result, modern day Portugal is full of culture and history, natural beauty and exciting night life. Local Language: Portuguese resembles most latin languages, though it is distinctly different. If you speak Spanish, it will help you quite a bit however English isn’t spoken much outside of Portugal’s tourist areas. 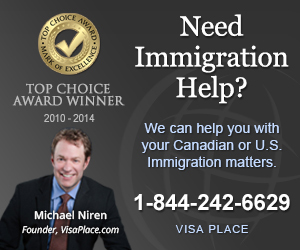 Visa Requirements: Canadians are allowed in Portugal for 90 days without a visa. Costs: Portugal is a bit cheaper – Budget $40per day. I spent about a week Traveling through Portugal and could have spent much more. Lisbon is a really fun city, once you learn your way around, and nearby cities such as Sintra give you another taste of Portuguese culture and history. If you’re looking for the beach, head south to the Algarve, but be prepared with a hefty wallet. It’s one of Europe’s most popular tourist destinations and as a result prices are sky-high, and the whole are caters to foreigners. Not the place for people looking for the real Portugal, but good beaches none the less. Heading into Lisbon you’ll probably have to take a night train from Madrid. It’s a long haul and you’ll make a little adventure out of it probably. It’ll be packed with backpackers and you’re bound to make some friends along the way. There are many more cities in Portugaland other Hotels in Portugal worth visiting too.